Box Tops for Education allows us to earn cash for ISD's education and enrichment programs! 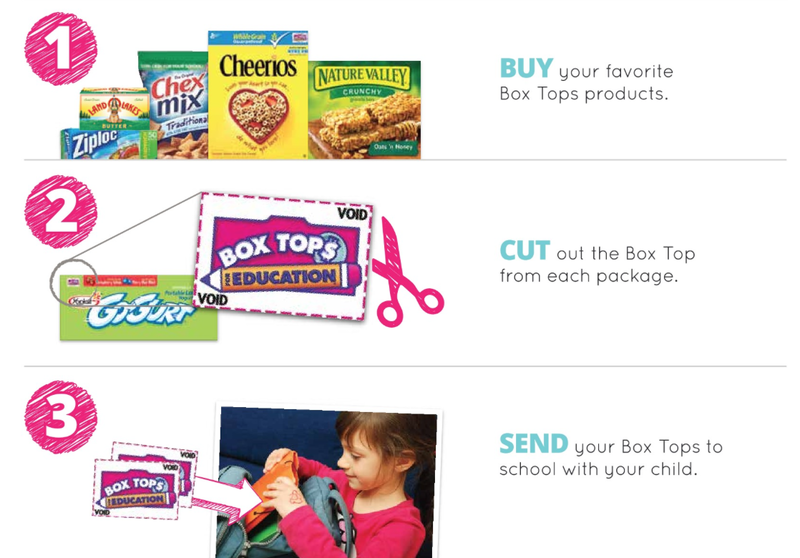 Collecting and submitting Box Tops is easy. Each Box Tops is worth 10 cents. Clip Box Tops - Buy your favorite participating product, place the Box Tops in a Ziploc bag and deposit them in the collection box across the hall from the school office. Check your pantry and start clipping! Download the Box Tops App - You can earn Bonus Box Tops in the Box Tops Bonus App in combination with the on-pack Box Tops clip and any other coupon, discount, store program or promotion. With almost 400 students enrolled at ISD, you can imagine how quickly the contribution funds grow if every child submits Box Tops! Our goal is $800 so start clipping and let’s see if we can reach it together! Fall deadline is November 1! Our school earns cash from every qualifying purchase. Simply visit www.shopriteformyschool.com/register to set up your profile. Once you’ve chosen ISD as your school and linked your Price Plus® Club Card, you’re set up to start earning 25 eBoxTops every time you buy 6 participating products. Starting September 11th, register your Stop & Shop card for A+ School Rewards, select ISD, and the school will receive a small percentage from your Stop & Shop purchases. The ISD PTA is a participant in the Amazon Services LLC Associates Program, an affiliate advertising program designed to provide a means for sites to earn advertising fees by advertising and linking to amazon.com.